Pylon Lookout is a lookout situated on the south side of Sydney Harbour Bridge. 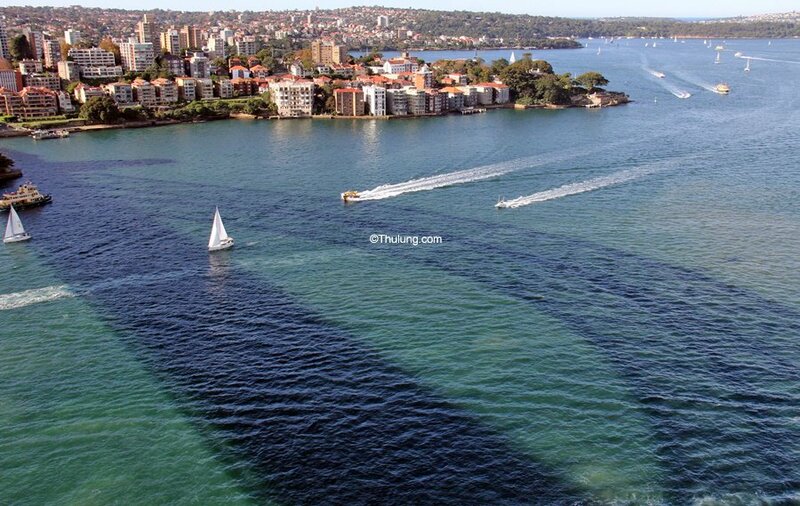 87 meter tall bridge bearing with 200-stair climb it provides a panoramic view of Sydney. This is a must visit place in Sydney CBD specially if you have limited time in Sydney but still want to get a bird's eye view of Sydney. 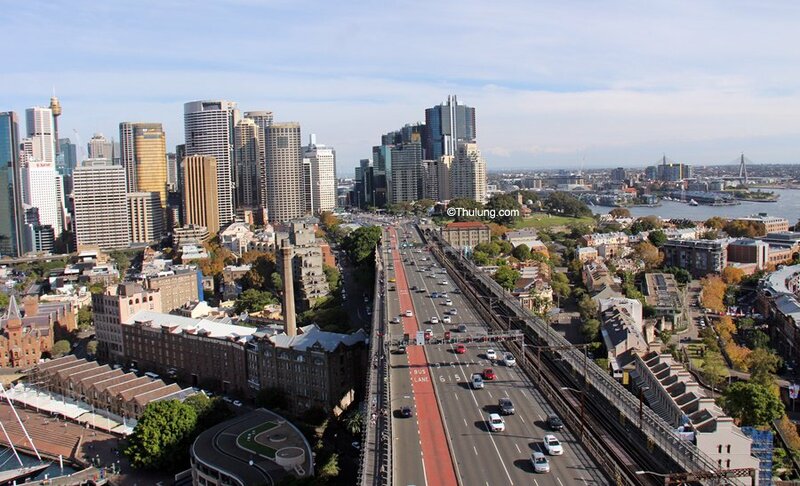 It is just 10 to 15 minutes walk from Circular Quay, the most central location for visitors in Sydney CBD. Pylon Look is cheaper version and option to Harbour Bridge Climb. Admission fee to Pylon Lookout is $15.00 and stay as much as you want. It is quick 5 - 15 minutes easy stairs climb, suitable for any age group. 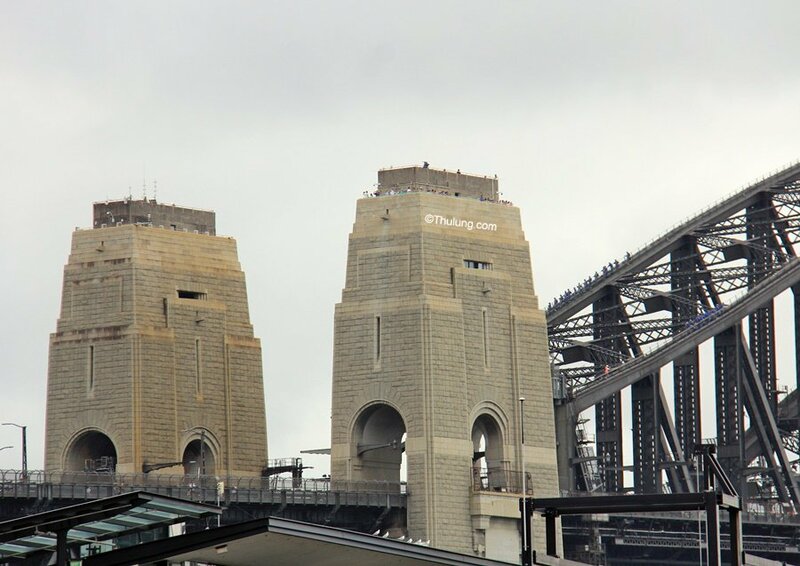 You can carry your own camera to Pylon Lookout, which you can't do if you are climbing Harbour Bridge due to safety reasons. Pylon Lookout gives you a great view of Sydney CBD, Sydney Opera House, Circular Quay, The Rocks, Cockatoo Island, Milsons Point, North Sydney, Western Suburbs, Sydney Airport, Southern Suburbs of Hurstville and Cronulla, Sydney Harbour, Fort Denison, Eastern Suburbs and Sydney Harbour Entrance. 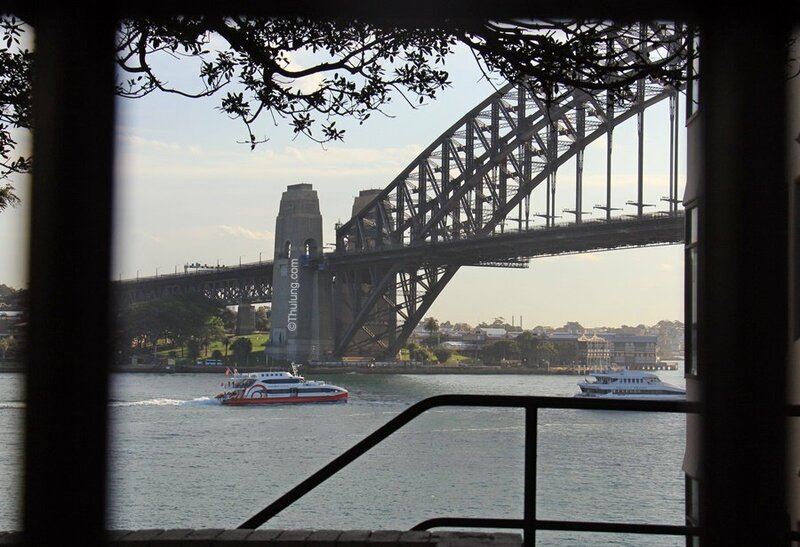 Definitely great view for $15.00, it's a bargain and not to be missed for unforgettable view of Sydney. By Train: Alight at Circular Quay & Walk past Museum of COntemporary Art to Argyle Street, turn left on Cumberland Street. 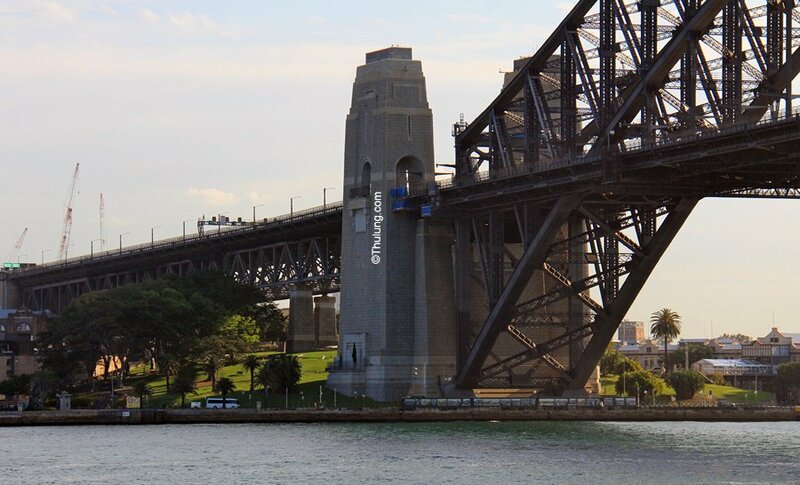 Walk 10 - 15 meters, then turn right to take Harbour Bridge strairs. Once you arrive at the top take right and walk north towards the bridge for about 500 meters until you arrive at the south east Pylon, the entrace to Pylon Lookout. 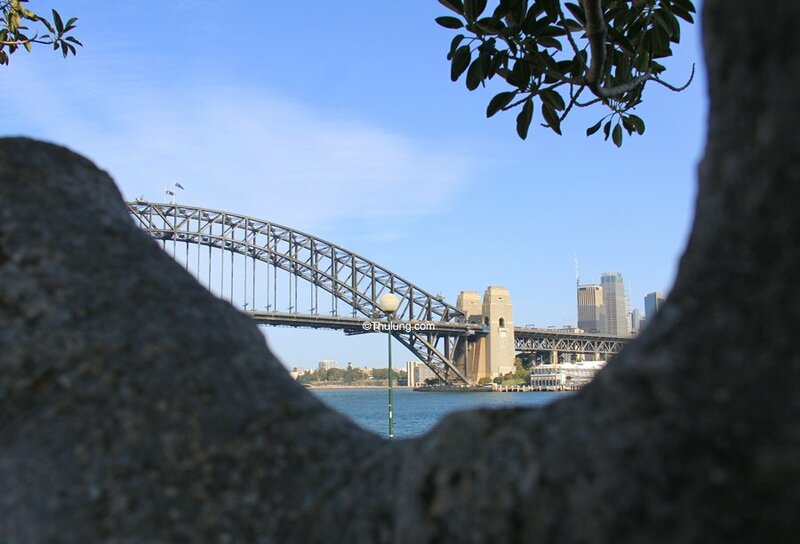 BridgeClimb, Bridge Walk, The Rocks, Circular Quay, Sydney Opera House, Luna Park, Barangaroo Reserve, Darling Harbour, Botanical Gardens, Mrs Macquarie's Chair, Ferry to Manly, Watson Bay, Darling Harbour / Barangaroo, Parramatta.